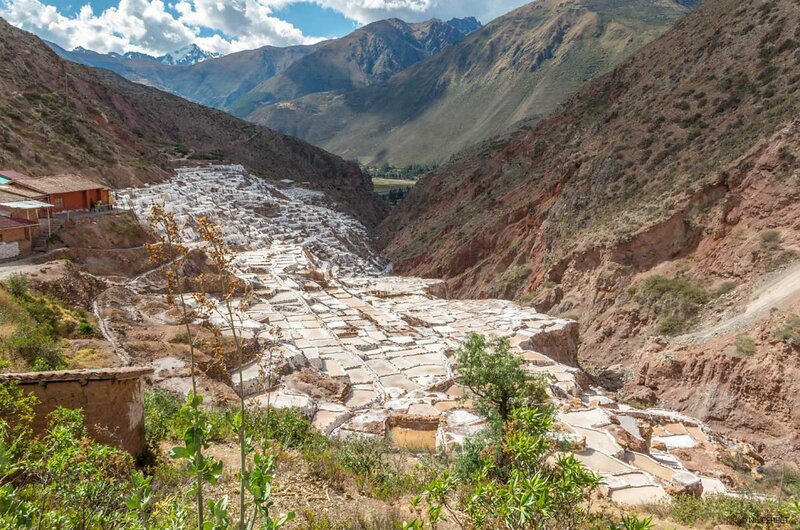 Since pre-Inca times, salt has been obtained in Maras by evaporating salty water from a local subterranean stream. The highly salty water emerges at a spring, a natural outlet of the underground stream. The flow is directed into an intricate system of tiny channels constructed so that the water runs gradually down onto the several hundred ancient terraced ponds. Almost all the ponds are less than four meters square in area, and none exceeds thirty centimeters in depth. All are necessarily shaped into polygons with the flow of water carefully controlled and monitored by the workers.